The research activities of the Laboratoire d’ImmunoGénétique Moléculaire (LIGM), created in March 1983 at Montpellier by the Professors Marie-Paule Lefranc and Gérard Lefranc (University of Montpellier and CNRS) since 1998 at the Institute of Human Genetics (IGH), are focused on molecular immunogenetics, immunoinformatics, bioinformatics and rare genetic diseases. We are studying the genetics, structures, functions and repertoires of the immunoglobulins (IG) of B lymphocytes and plasmocytes, and of the T cell receptors (TR) on T lymphocytes, which are essential components of the adaptive immunity in humans and other vertebrates with jaws (Gnathostomata). 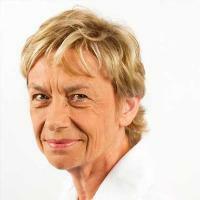 In 1989, IMGT®, the international ImMunoGeneTics information system®, which is at the birth of immunoinformatics, was created by Marie-Paule Lefranc (University of Montpellier and CNRS). Founded on the IMGT-ONTOLOGY concepts and IMGT Scientific chart rules developed by the LIGM team, IMGT® has become the global reference in immunogenetics and immunoinformatics and a pioneer in solving Immunoinformatic challenges. IMGT® is a CNRS registered trademark (EU, Canada and USA). IMGT® has been certified ISO 9001:2008 since 2010 and NFX 50-900 since 2014. IMGT® is specialized in the IG, TR and major histocompatibility (MH) proteins of vertebrates, and in the immunoglobulin superfamily (IgSF), MH superfamily (MhSF) and related proteins of the immune system (RPI) of invertebrates and vertebrates. IMGT® is a high-quality integrated knowledge resource which provides a common access to expertly annotated genes, sequences and structures. IMGT® includes seven databases (IMGT/LIGM-DB, a biocurated database of 178,929 IG and TR nucleotide sequences with translation from 351 species in May 2017; IMGT/GENE-DB, IMGT/CLL-DB, IMGT/PRIMER-DB, IMGT/2Dstructure-DB, IMGT/3Dstructure-DB and IMGT/mAb-DB), seventeen interactive tools and more than 20,000 pages of Web resources. IMGT/DomainGapAlign is widely used for antibody engineering and design of humanized antibodies as it allows the precise definition of FR-IMGT and CDR-IMGT and the standardized comparison of the amino acid sequences between the nonhuman (mouse, rat…) V domains and the closest human germline genes. IMGT/HighV-QUEST, the first and so far the only online portal for IG and TR Next Generation Sequencing (NGS) data, has analysed to date (April 2017) more than 12.5 billions of IG and TR sequences, from 2043 users (45% USA, 35% Europe, 20% other countries). Since July 1995, IMGT® is available on the Web. IMGT® is used by researchers and scientists, academic and from pharmaceutical and biotechnology companies, involved in fundamental research, medical research (autoimmune and infectious diseases, AIDS, leukemia, lymphoma, myeloma), veterinary research, genomics (genome diversity and evolution of the adaptive immune system), biotechnology related to antibody engineering for humanization of therapeutic antibodies, diagnostics (detection of minimal residual diseases) and therapeutic approaches (grafts, immunotherapy, vaccinology). The IMGT® Web server at Montpellier is accessed by more than 80,000 sites per year. IMGT® has an exceptional response with more than 150,000 requests per month. Antibodies represent a large number of the pharmaceutical substances submitted to the World Health Organization International Nonproprietary Names (WHO INN) Programme. The INN definition of antibodies is based on the IMGT-ONTOLOGY concepts. Since 2008, amino acid sequences of monoclonal antibodies (mAb, INN suffix -mab), of fusion proteins for immune applications (FPIA) and composite proteins for clinical applications (CPCA) from WHO INN have been entered into IMGT®. These therapeutic applications emphasize the importance of the IMGT-ONTOLOGY concepts in bridging the gap between antibody sequences and 2D and 3D structures. Another research interest, in collaboration mainly with the Unit of Medical Genetics, St-Joseph University, Beirut, and also with other teams in Tunisia and Algeria and the Children’s Hospital of Boston (Pr Raif GEHA) concerns rare Immuno Deficiencies and autosomal recessive genetic diseases in consanguineous families (there are as many as 25% of marriages between cousins, often first cousins and even double-first). The patients are autozygous (homozygous by descent) for very rare mutated genes and haplotypes, present in the common ancestor(s) of their parents. These exceptional genotypes are invaluable starting points to allow the identification more quickly of the yet unknown mutated genes. Their functions in the cell organization or in signaling pathways, including epigenetic and silencing by microARN, are unmasked and can be investigated. The genetic counselling can be performed in these families. The better understanding of the molecular basis of the pathophysiology allows better choices in the development of diagnostic tools and innovative therapeutics. This research is beneficial not only for monogenic diseases, but also for complex ones. Indeed, the consanguinity, responsible also for homozygosity of large chromosomal regions, identical by descent, permits to discover more easily the genetic networks. This approach is also valid for the search of genetic susceptibility or protection against infectious diseases. Recruitment of ubiquitin-activating enzyme UBA1 to DNA by poly(ADP-ribose) promotes ATR signalling.